What is Winter Like in Iceland? A Christmastime holiday or winter vacation is the best time to experience what Iceland has to offer. Can you imagine how amazing it is to look up and see the Northern lights shining brightly in the night sky or how much fun dogsledding with a team of huskies on a glacier can be? So I suggest-brave the cold and head out to Iceland to explore some amazing adventures firsthand. Tour operators in Iceland offer a number of exciting outdoor activities such as glacier hiking, dogsledding, and whale watching or snowmobiling. Even for those not this adventurous you may spend a great deal of time outside visiting Iceland’s magnificent waterfalls, geysirs or just walking around shopping. Although the climate may be a little milder in Iceland, weather conditions may change rapidly; you may be exposed to rain, snow, sun and extreme cold all in one day. Because of this wearing wind and water resistance outer layers is the key to comfort. Look for a good winter jacket that is water and winter resistant but also has some insulation like fleece or down to provide warmth. Some coats have a weather rating that lists the range of temperatures you will be protected from. The weather rating is important-don’t assume one that provides a colder rating is necessarily better. You might actually get too hot! Keep in mind that a lot of the tours like snowmobiling or whale watching will provide a heavier outer layer for you to put on over your jacket. So if your jacket is too long or puffy it may not fit under your jumpsuit or you might get too hot. If you plan on going skiing or snowboarding you may need more of a ski type jacket which features a waterproof and windproof shell that you will need to add a base layer of insulation too. Next it is important to purchase heavy mittens or gloves, hat and scarf designed specifically for cold weather. Wearing a stylish hat may look cute but you need to make sure these items are not just fashionable but actually designed for cold weather. Purchasing products made from wool is a safe choice for winter conditions. Many Iceland shops sell high-quality woolen mittens, hats and scarves at reasonable rates so don’t worry if you have to buy additional ones on vacation. Tours typically will do not provide these types of items. Winter Boots or Hiking Boots? Depending on what types of activities you will be doing I would opt for a winter style hiking boot as opposed to a heavy duty snow boot. Most of the tours and activities in Iceland requires one to walk over rugged terrain and wet or rocky conditions. Recently on a visit to Iceland I went glacier hiking and ice climbing, for this tour snow boots or furry boots would not have been a good selection as we used crampons over the hiking boot to walk on the ice. If you do not want to purchase a pair of hiking shoes for just one day-ask the tour provider. Most of the tour companies do rent equipment for either free or a very small price. By far the most popular tour is the Golden Circle, which highlights three main attractions: the geysers Geysir and Strokkur, Þingvellir National Park and the massive waterfall known as Gulfoss. Although you will be traveling by bus you may be exposed to different conditions while walking around the parks. When I took this tour, the day started out sunny and mild but within a couple hours the temperature dropped and an unpleasant icy rain started, my furry boots, while good for walking around Reykjavik, got soaked as they were not water resistant. They also provided little traction on the gravel that most of the trails were made from. A good waterproof hiking boot would have been a better choice. One of the best items I purchased for trip was a warm long underwear base layer from Columbia. Look for a mid-weight base layer that will help you generate or keep in your own heat. It is also important if you are going to be active that the material wicks away moisture to avoid sweating-which is why cotton leggings would not work well. Many other brands carry a similar base layer like North Face or Koppen. This additional layer underneath leggings or jeans kept me warm the entire trip. During my ten day stay in Iceland, I also visited the Northern capital of Akureyri, which is a little colder than Reykjavik by a few degrees. 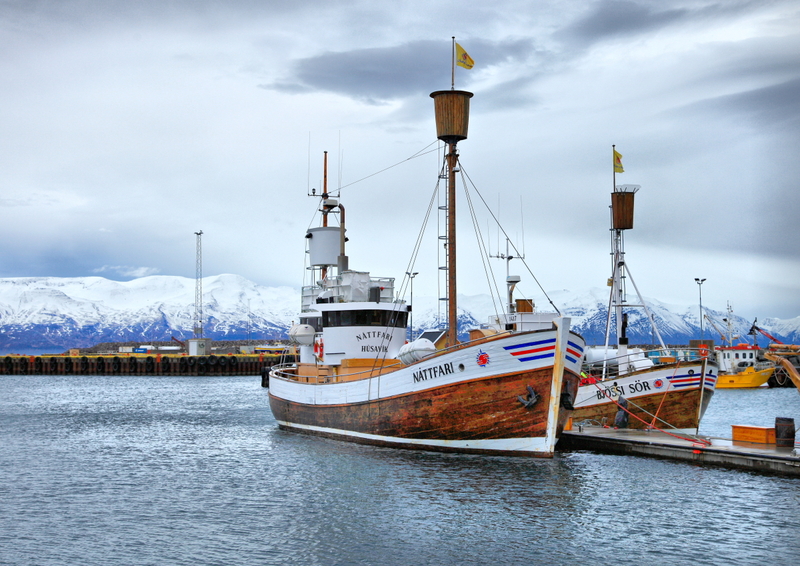 But there was a noticeable difference in temperature when we traveled further north to go whale watching in Husavik. Onboard the ship, the crew provided us with warm heavy jump suits to put on over our clothes. 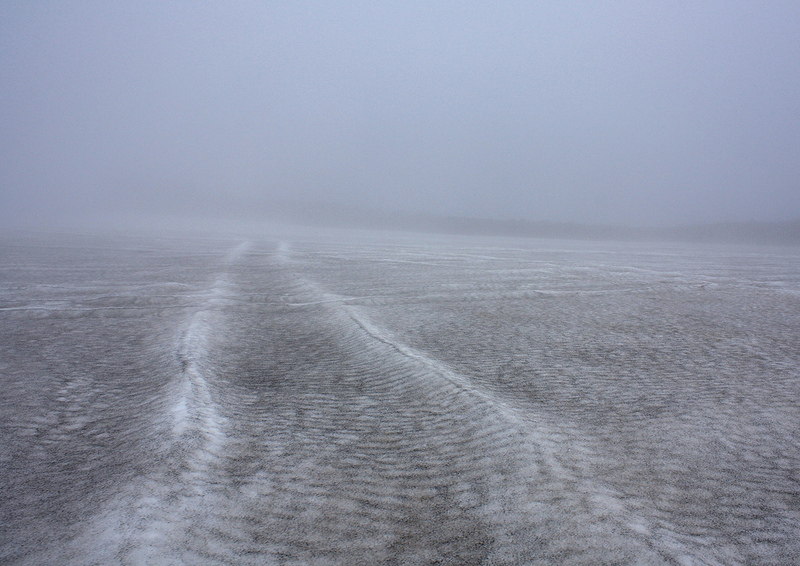 Once we got out near the Arctic Circle the temperature plummeted and the wind increased sharply. I was happy I not only had on my windproof jumpsuit but also warm base layers to keep my core body temperature high. If you will be out for extended periods of time beyond a short tour you might want to purchase performance style pants with a wind and water resistant soft shell designed specifically for winter sports. These pants are lighter and less bulky than snow pants but will provide more protection than just hiking pants. The pants paired with a base layer should provide you with the comfort and warmth needed for longer activities like glacier hiking or other outdoor adventures. Most pants carry a weather or wind rating as well, it is crucial that they are wind resistant. REI, North face and Columbia are good products to look into and their sales associates can help you pick the appropriate pants. Wear a wool sweater! While in Iceland I bought my first wool sweater. I cannot describe how warm these wool products are. There are a number of shops selling high quality Icelandic wool products and I encourage you to wait to buy your wool sweater there. Don’t forget your bathing suit. 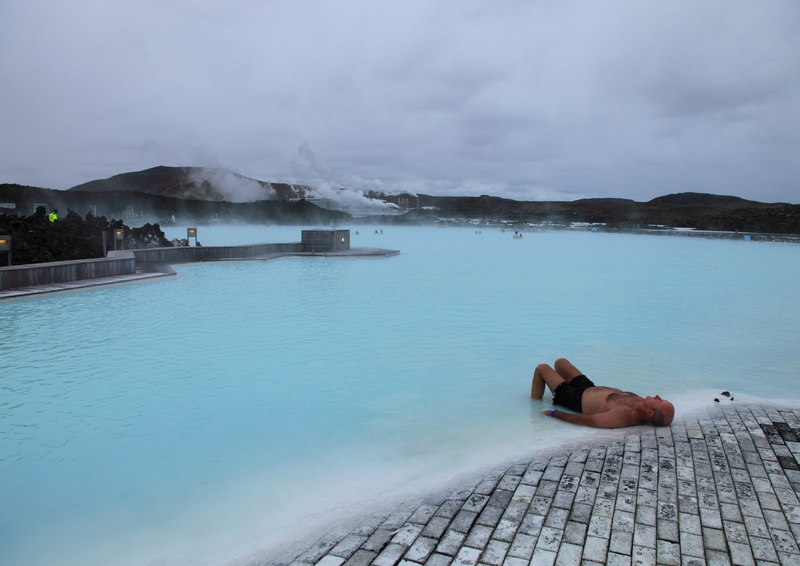 Yes seriously, Iceland is known for its hot geothermal spas such as the Blue Lagoon. The luxury outdoor geothermal spa is a destination you cannot miss and it is open year round. The pool is heated by underground geothermal springs the heat of the water rises so you will not be cold while floating around this pool for hours. Plus there are a number of public spas located in the city center and sometimes in the hotel. Remember to pack some nicer clothing as well. No matter what the weather conditions are in Iceland people tend to dress stylish when going to bars, restaurants and nightclubs. There a number of popular restaurants in the city center where dressing in hiking clothes would not be appropriate. You may also want to leave some room in your luggage to go shopping in Iceland. For all your winter or outdoor gear needs shop at Cintamani. 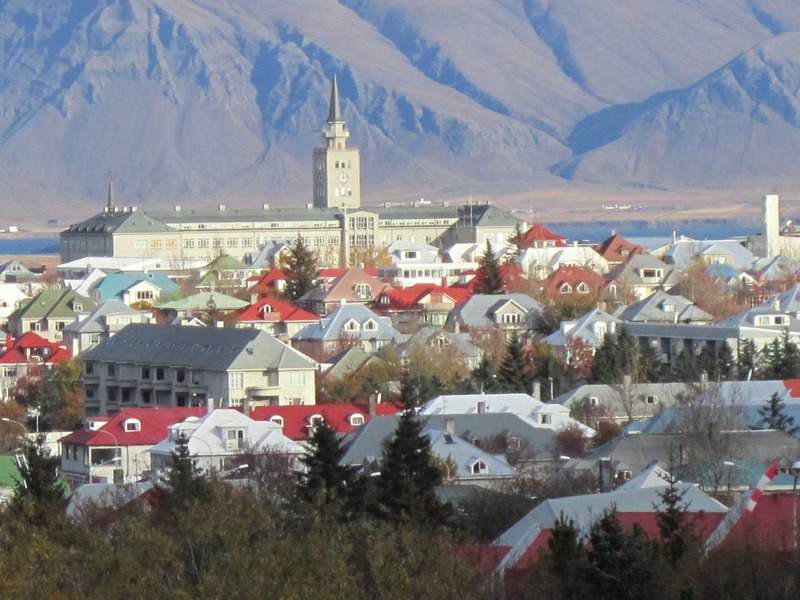 There is a large shop located conveniently in Reykjavik’s city center. Cintimani sells functional and stylish outdoor wear designed specifically for Icelandic weather conditions. I bought the stylish Jóna zip-up which can be worn alone or under a jacket-It is warm and looks cool. You can even purchase the items online to ensure you will have the highest quality gear designed for Icelandic conditions before you even get there! Iceland is easily one of my favorite destinations. I would go anytime during the year. But if you need some coaxing check out the tempting travel packages offered by Icelandair. I suggest the affordable Experience the Arctic North package which includes round-trip airfare to Iceland and lodging in both Reykjavik and Akureyri. So do not let the weather deter you from visiting Iceland this winter. With some careful packing you will have a blast and stay warm! This entry was posted in Arctic and tagged Akureyri, Arctic Circle, Þingvellir, Golden Circle, hot to pack for iceland, iceland, North Face, packing for a trip to iceland, reykjavik, shopping in reyk, Strokkur, womens clothing iceland. Bookmark the permalink. Thank you so much for this guide! I’m going to Iceland in November and this was super helpful!! !